Entering week 7, we can’t help but witness the injuries beginning to mount among starters like Danny Duffy, Cory Luebke, Daniel Hudson and relievers such as Sergio Santos, Houston Street and Carlos Marmol to name a few. We put together five pitchers who are available in around 60% + of leagues who you might consider grabbing. You’ll notice that the four the starters that we’re recommending are on fair to awful teams but between them they have 16 wins and 133 K’s!! 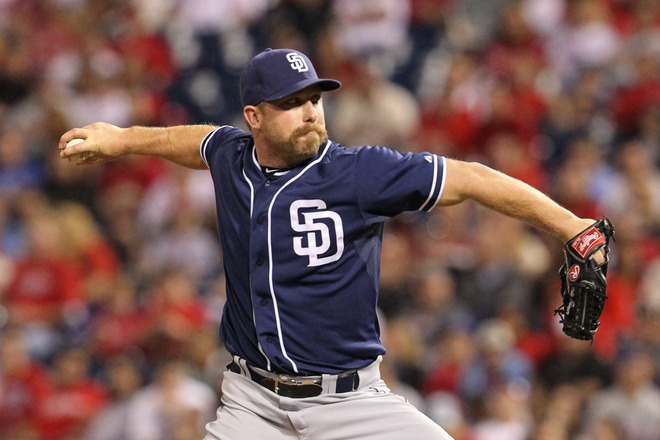 Our recommended reliever is our sleeper of the week! 1. Jason Vargas-SP-Mariners- This 29 year old southpaw and former 2nd round pick of the Marlins, is 3-1 in his last four starts on a team that has a hard time scoring runs. He has collected 38 K’s in 50 innings pitched and has a 2.79 ERA to go along with a 0.97 WHIP. He’s beaten the Indians and Detroit, twice, over his last four outings and had amassed six quality starts through his eight games this season. Vargas currently is ranked 50th among all pitchers in Yahoo! leagues. Owned in 41% of leagues he should be picked up in deeper leagues of 12 or more. 2. James McDonald-SP-Pirates- McDonald is someone to consider just taking a flier on at the moment. Last year, his first season starting more than 11 games, he struck out 142 and walked 78. Although his control is serviceable, he needs to cut down on giving up the long ball. (he gave up 24 dingers last season). He seems to have made some strides this year as he’s only given up 2 HR in 44 innings which equates to approximately 8-9 over the course of a full season. We like that he has fanned 39 in those 44 innings and has his lowest ERA 2.43 of his career. Being on Pittsburgh he won’t get you many wins (he currently has 2) but he’s worth a look if you’re in need of K’s. McDonald will face the Nationals on Wednesday who he beat last year and the Mets, (he beat them both times he faced them last year), on the 21st. He is owned in just 24% of leagues. 3. 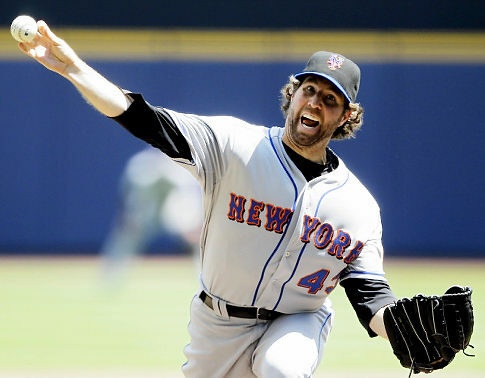 R.A. Dickey-SP-Mets-The knuckleballer has had quality starts in every game he’s pitched this season except the one where he imploded vs the Braves in Atlanta on April 18th. Dickey boasts a 5-1 record and has 32 K’s. In his past two seasons with the Mets, he’s kept very respectable ERA’s of 2.84 and 3.28. This former 1st round pick of the Texas Rangers has 32 strike outs in 44 innings and should be owned in deeper leagues, perhaps even leagues of 10+. Dickey has won 19 games on a pretty underachieving Mets team the last two seasons and we think he’s worth a look now, especially while the team is doing so well. 4. Scott Diamond-SP-Twins- This lefty 25 year old has started only seven major league games prior to the two this season and he’s won both of them. Diamond had thrown 14 scoreless innings in both starts and has a 10:1 K:BB ratio. He has beaten the Blue Jays and the Angels and will face the Brewers on Friday. Given his small sampling last year in those seven games where he struck out 19 but walked 17, plus his poor minor league records, we’re not sure how much longer Diamond will continue to ‘outperform’, so in the meantime, take a flier on him, see how he fares vs Milwaukee later this week and if you’re in deeper leagues, give him some consideration. He is, of course, widely available in over 65% of leagues so there’s no rush. Just your basic low risk, high reward type of pitcher. ← A Technical? For A High-Five? C’MON MAN!! My entire team has been hobbled by injury. Now Verlander is day to day. Brutal. Whats next?, Cabrera going down? It’s just a callus. It bled a bit but he’ll be fine. infant he will not even miss his next scheduled start..